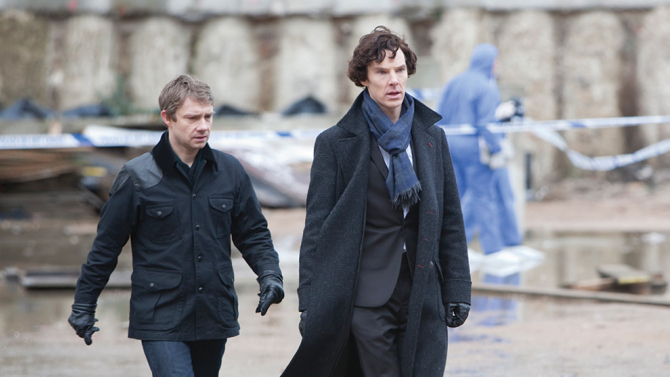 If you haven’t seen “Sherlock” yet, what are you waiting for? You can stream it on Netflix and it is such a great watch! See the full list of Emmy winners from last night’s broadcast. 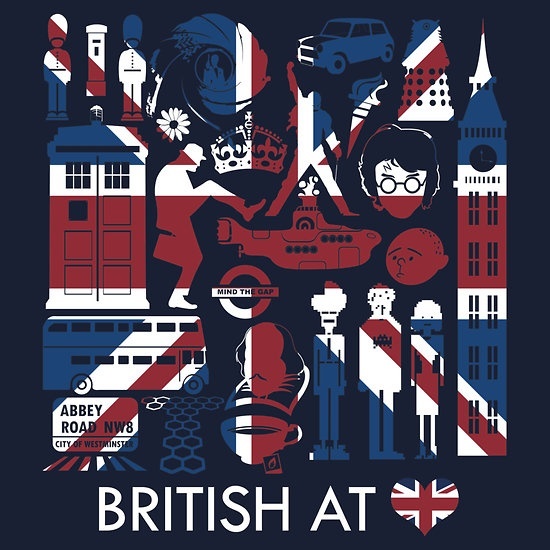 I love this iconic design by Tom Trager – and pleased to see it is available to buy on T-shirts and hoodies via RedBubble.com. The company uses American Apparel brand and you can choose from a spectrum of colors for $25.52. Ah, it’s been one of those crazy busy weeks at work and on the home front, juggling and trying to stay afloat (and mixing metaphors in the process!). Oh yeah, and I’ve discovered “True Detective,” and have been a veritable junkie, huffing episode after episode. I’m reminded today that I may need to employ the Sherlock method of memory to keep my checklists in check and my to-dos done. Happy Tuesday! Have you seen this? Benedict Cumberbatch photobombing U2 on the Oscars red carpet yesterday?! Amazing! 18 times Benedict Cumberbatch looked like an absolute GOD in a suit. I’m torn between #8 and #15. A Sherlock-themed cafe in Shanghai. 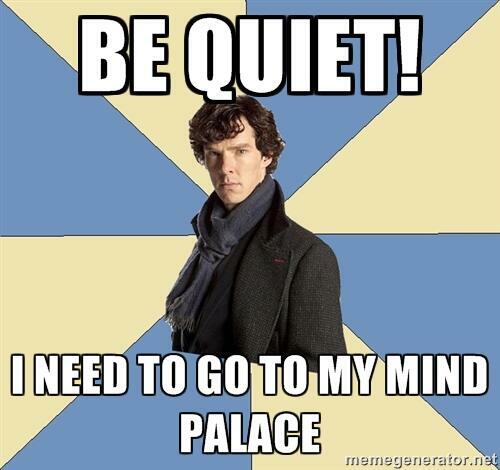 It’s called 221B Baker Street. A Benedict Cumberbatch name generator. I was Bunsenburner Custardbath. OMG. Benedict Cumberbatch was on “Sesame Street” this week! So cute! And check out Murray-arty, his arch nemesis! I’ve made no secret of my adoration for the BBC show “Sherlock.” If you haven’t seen it yet, what are you waiting for?! For four months now, we’ve been blissfully without our cable TV. Who needs it?! Not me. But rarely, very rarely, there are those nagging moments in life where I do miss it – and Sunday was one of those days when I realized that the Golden Globes were on and I couldn’t just watch. As it turned out, most of the highlights were online anyway, and I’ve flipped through plenty of red carpet fashion from the night and watched every bizarre speech. 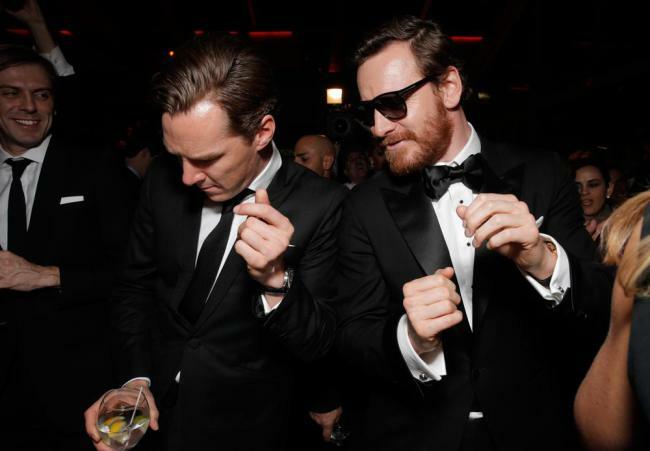 The best picture I’ve seen is the one above – Benedict Cumberbatch and Michael Fassbender just grooving at the Golden Globes. Which reminds me – I’ve got to go catch up on watching “Sherlock.” I’ve just started watching the third season and am hooked. Now I am going back to the first season to watch from the beginning. If you haven’t seen “Sherlock” yet, it’s on Netflix and Hulu and is well worth a watch!